New Topic and New Special Rapporteur in the ILC: A Sign of Progressiveness in the Man’s World of International Law? 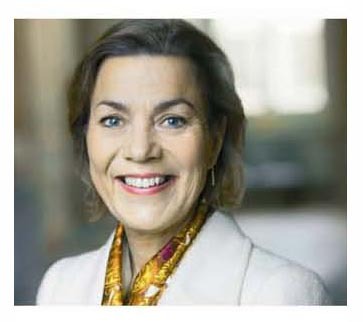 On May 29th, the International Law Commission (ILC) decided to include ‘protection of the environment in relation to armed conflicts’ in its current programme of work, appointing Marie Jacobsson as the Special Rapporteur on that topic. In the past, the ILC has mainly addressed topics within the traditional international legal sphere, such as those concerning treaty interpretation and application. This work still constitutes an important part of the Commission’s programme, which covers issues such as subsequent agreements and subsequent practice in relation to the interpretation of treaties, the Most-Favoured-Nation clause, and provisional application of treaties. The Commission, however, has made attempts to reform. In its 1997 Yearbook, the ILC expressed an ambition to consider topics “that reflect new developments in international law and pressing concerns of the international community as whole.” These less traditional topics can be found in the current work programme: the obligation to extradite or prosecute (aut dedere aut judicare), protection of persons in the event of disasters, and immunity of State officials from foreign criminal jurisdiction. The latest topic to be included in ILC’s work programme – ‘protection of the environment in relation to armed conflicts’ – is yet another sign of the ILC’s commitment to explore novel international law issues. The ILC has for a long time been an exclusive men’s club. It was not until 2002 that the Commission received its first female members. In that year, Paula Escarameia and Hanqin Xue, broke the record of exclusive male membership that had existed since 1949. By appointing Ms Jacobsson as the Special Rapporteur, the Commission is expanding the small group of female Special Rapporteurs. They are now two (!) in total with Concepción Escobar Hernández as the other female Special Rapporteur for immunity of State officials from foreign criminal jurisdiction. Appointing a female Special Rapporteur to lead a dynamic and unconventional project at the ILC is a hopeful sign of new developments taking place in the man’s world of international law (see Naomi Burke’s recent blog post).